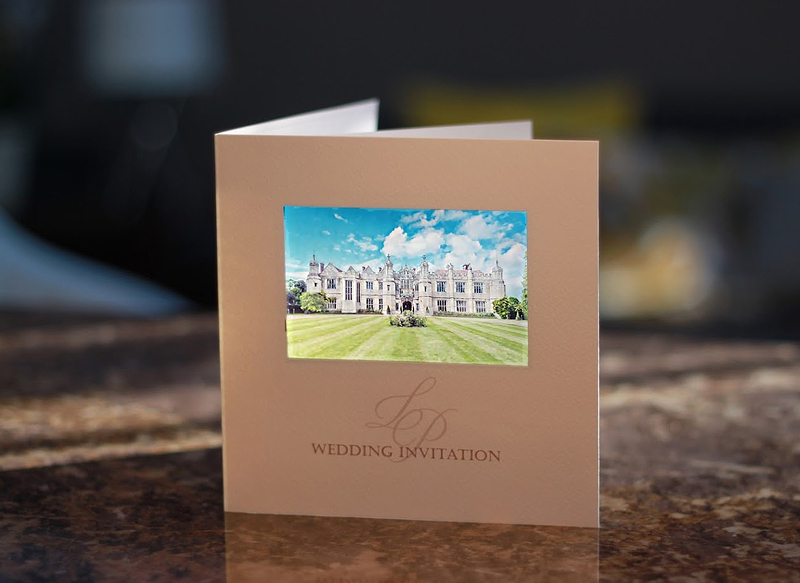 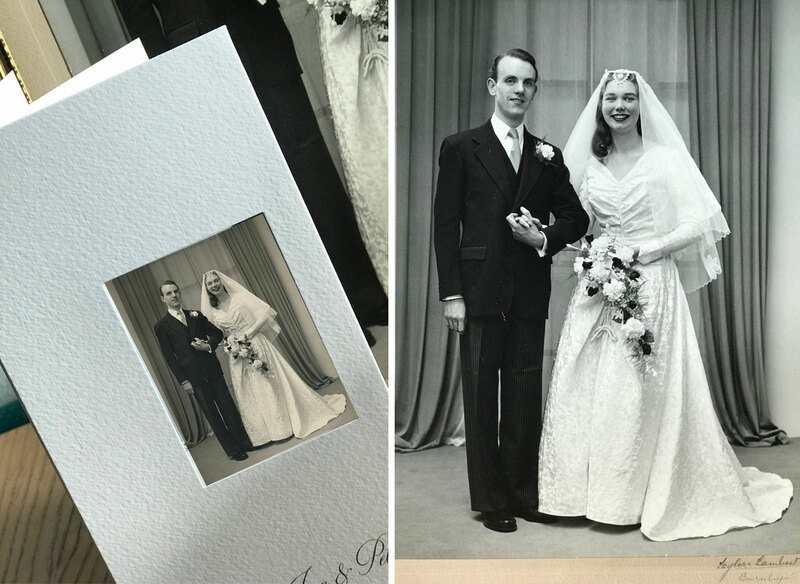 Set the scene for your wedding by using a photograph of your venue. 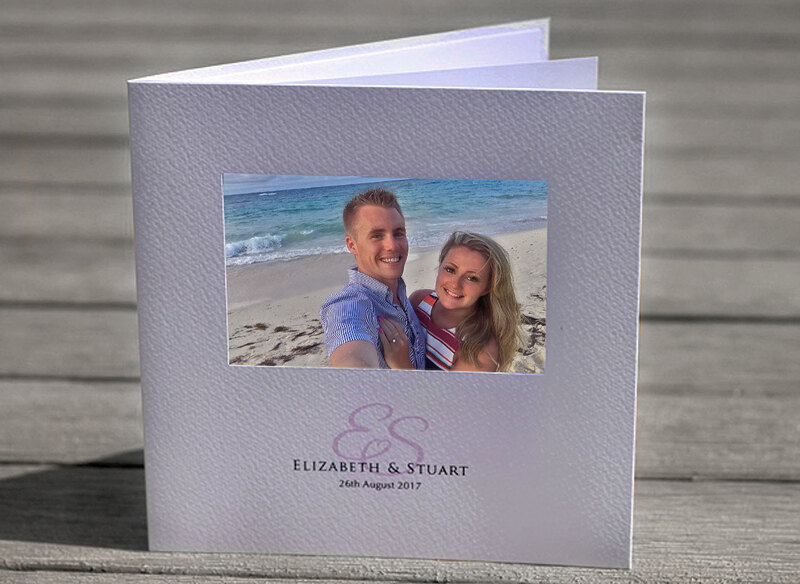 Take your own photo to make it more personal or contact the venue direct and they are usually really happy to send you a professional image. 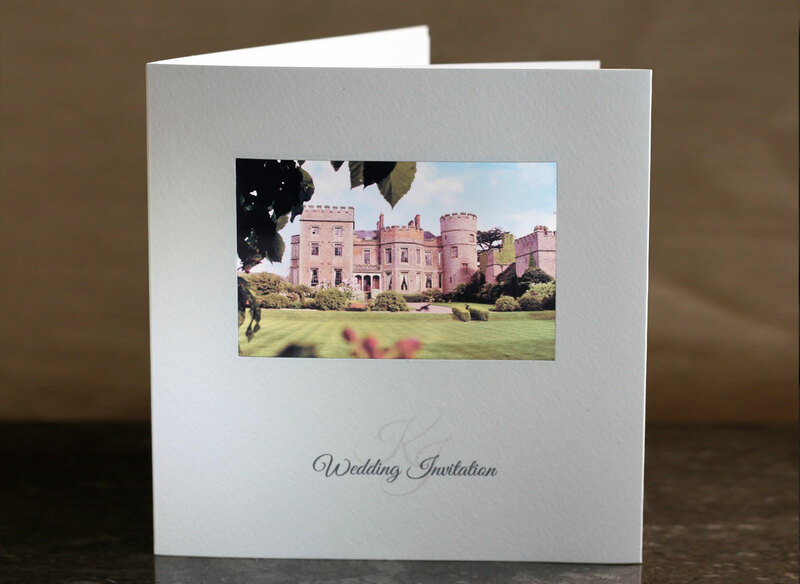 The large square card is particularly suited to this theme as the centralised window gives the building a real presence. 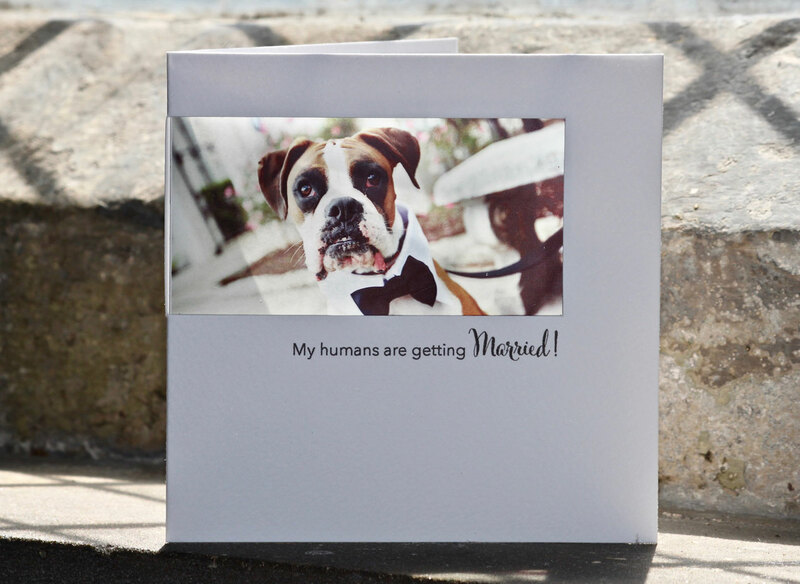 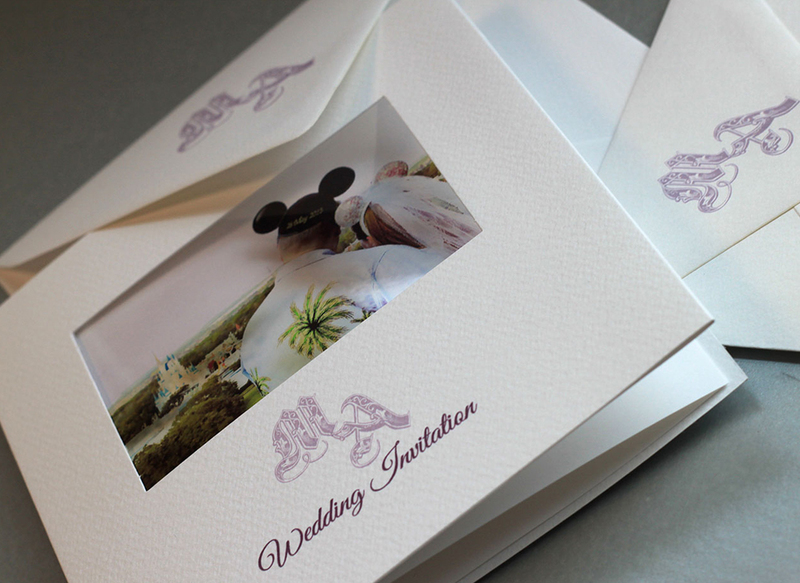 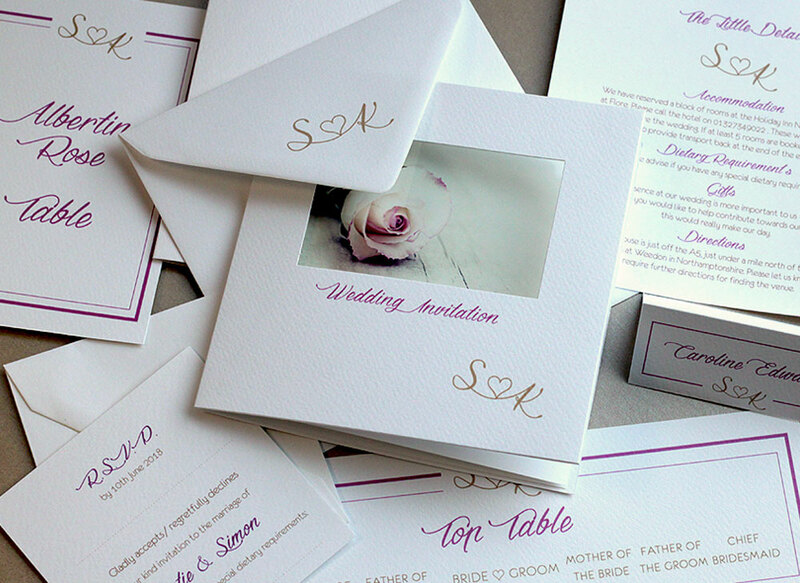 Have some fun with your wedding stationery and let your dog (other pets are available) do the inviting! 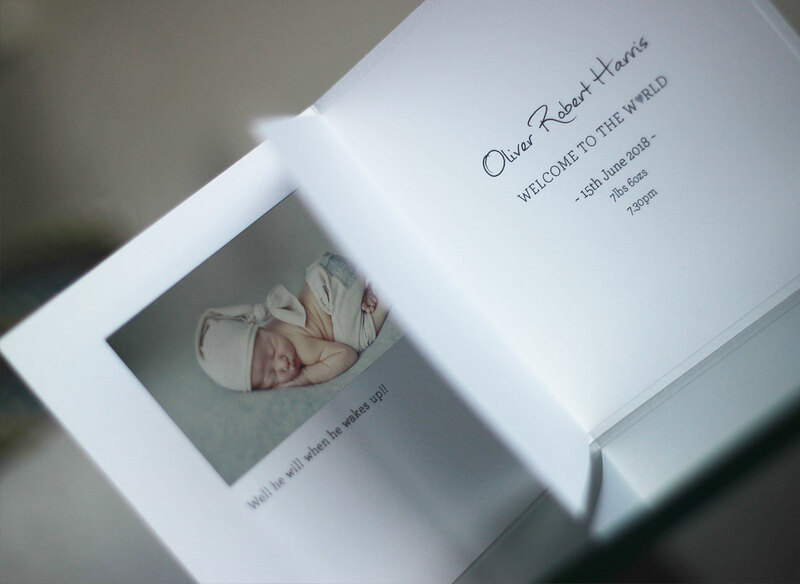 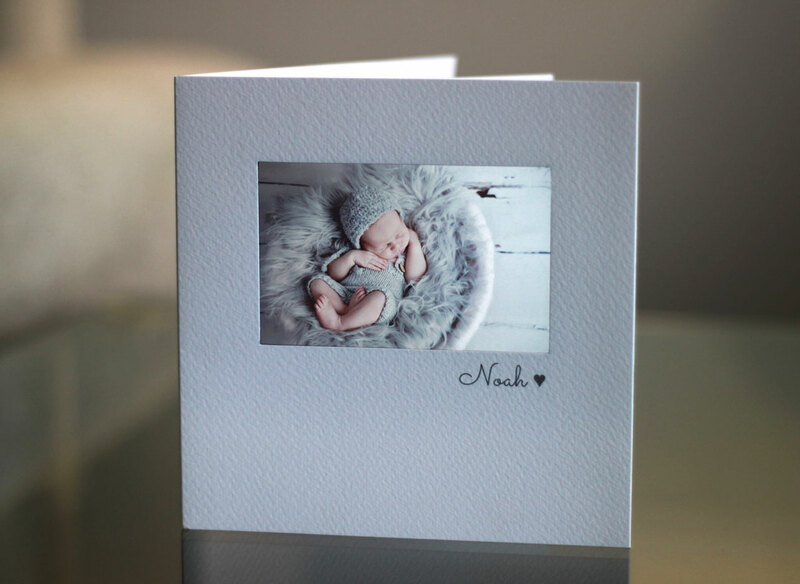 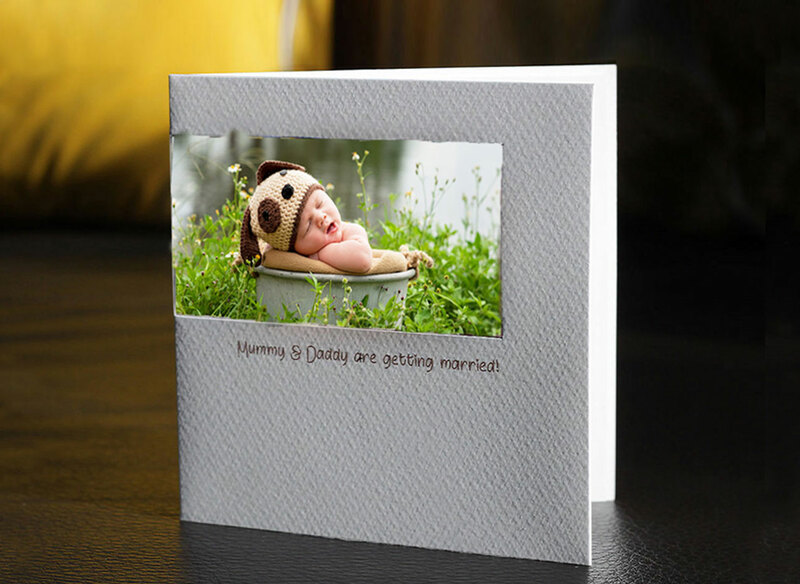 The most gorgeous christening card for little Noah – what a fabulous photo shared with us by Baby Shoots (www.babyshoots.com) – thank you Rob & Karen!